The SoundStage! 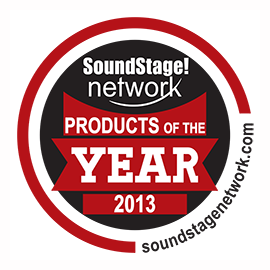 Network is proud to announce the 2013 Product of the Year award winners. In total, 13 awards were given in various categories (see below). The SoundStage! Network team will be at CES 2014 in Las Vegas next week to meet with representatives from each company and personally present their awards. Pictures of the award presentations will appear on SoundStage! Global, our specialized site for show reporting and company tours. The SoundStage! Network’s founder and publisher, Doug Schneider, has written an article this month about the award winners on SoundStage! Hi-Fi, while editor-in-chief, Jeff Fritz, has done the same on SoundStage! Ultra. Congratulations to all the winners!